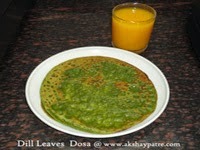 Collection of dose or dosa recipes - Dose is a staple food of South India and is popular in all parts of the country. Traditional urad dal dosa is prepared by soaking the basic ingredients such as rice and urad dal till they swollen and double in size. Then the batter is kept till it is fermented. Dosa is usually served with sambar and coconut chutney. Other varieties of chutney also goes well with it. The variations of dosas are prepared with semolina or rava, mixed lentils, skinned green grams, dill leaves, water melon rind, cucumber and so on. I have already posted rava dosa, dal dosa, dill leaves dosa, skinned green gram dosa, cucumber dosa, water melon dosa, and rice urad dal dosa, and sweet surnoli. 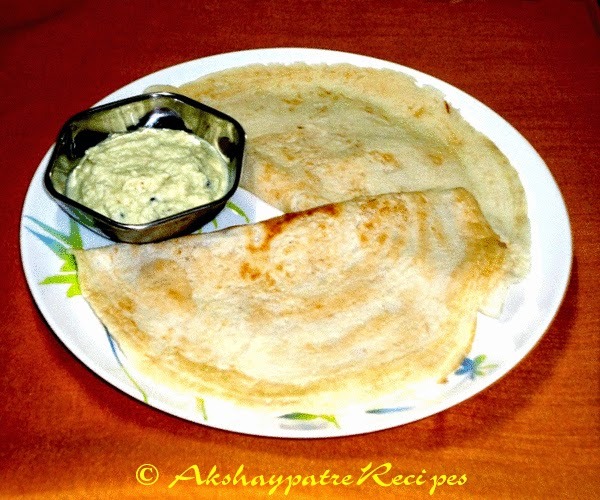 Rava dosa - Rava dosa is a quick to make breakfast dish served with sambar and coconut chutney. 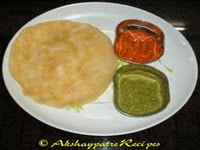 The instant dosa batter can be made by using soaked black gram dals, roasted rava or semolina and yogurt. It is one of the simple and easy to make dosas and the batter can be made well in advance. Tastes great when served hot along with sambar and chutney. Mix dal dosa - Lentils Dosa - Mix dal dosa is prepared by using soaked bengal gram dal, green gram dal, black gram dal, semolina and yogurt. This is a healthy dosa which contains all goodness of lentils.this protein packed dosas can be served for breakfast or as an evening snack. This can be packed very easily in the lunch box. 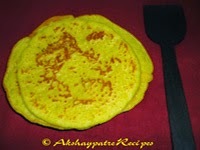 Cheela or Moong Dal Dosa - Cheela is a dosa of North India, prepared with a staple ingredient skinned green gram or moong dal. A delicious sabzi prepared in combination with carrots, cabbage, capsicum, green peas and onion is wrapped in the cheela. This is a nutritious and healthy breakfast dish loaded with all goodness of green gram dal and vegetables. Cucumber Dosa -This is an authentic dose recipe of South Karnataka. Rice, cucumber and fresh coconut are the key ingredients in this dish. This is a delicious dose with cucumber flavour. 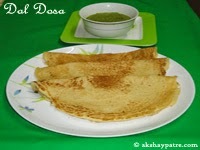 Very simple and easy to prepare dosa which can be prepared in a jiffy if you have soaked rice in the refrigerator. Urad dal Dosa - This classic dosa uses rice, urad dal and fenugreek seeds. To make a tasty dosa, the batter must be well fermented and the ingredients should be in proper proportion. Depending upon the atmosphere, sometimes the batter takes 10-12 hours to ferment. 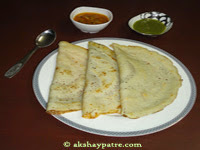 This is a classic dosa served for breakfast, dinner and can be packed in the lunch box. This dosa goes well with sambar and coconut chutney. Surnoli Dosa - Surnoli is a traditional authentic sweet dosa of my home town in South Karnataka. 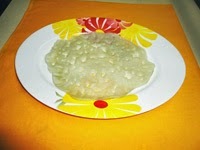 This dosa is prepared after fermenting the batter for 12 to 14 hours. A very delicious, soft and flavorful surnoli is a worth trying dish. This is made with rice, yogurt, beaten rice, and fenugreek seeds, coconut, jaggery and turmeric powder.